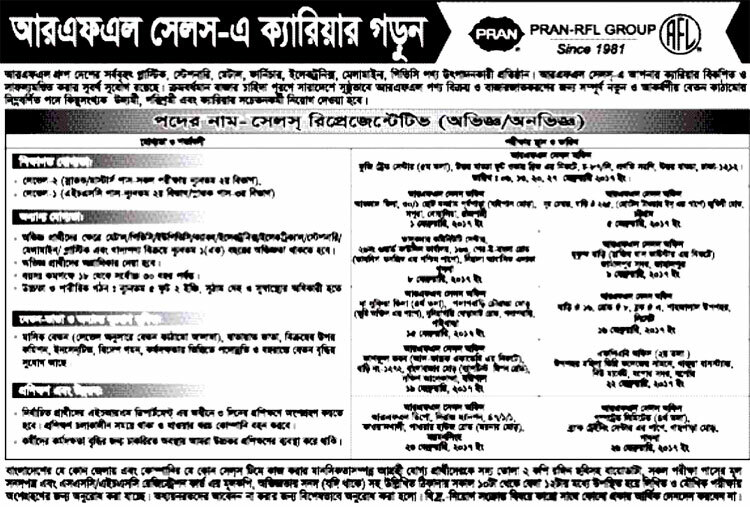 PRAN RFL Job Circular 2018 Latest found here. 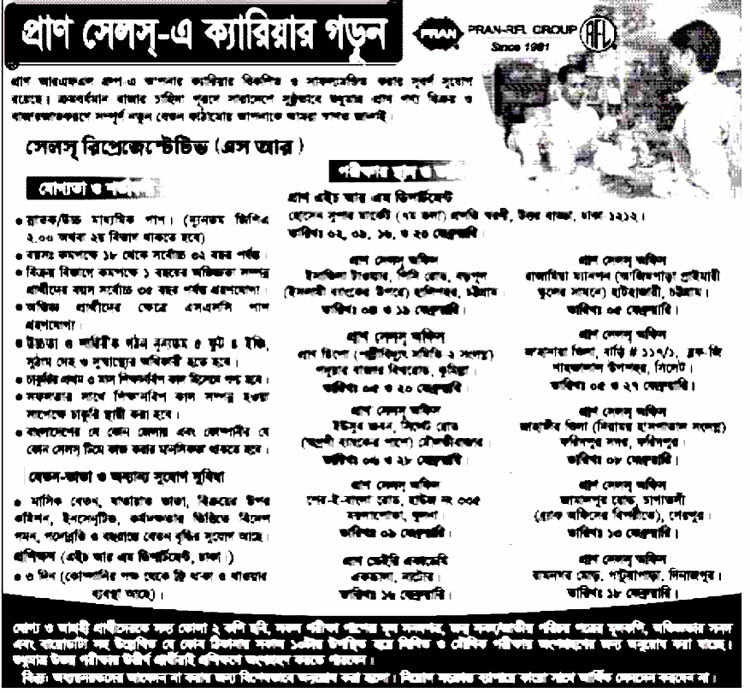 Pran RFL is a very famous and popular group and also works as a socio-economic development in the country and earn attractive foreign currencies for Bangladesh from the different parts of the world. 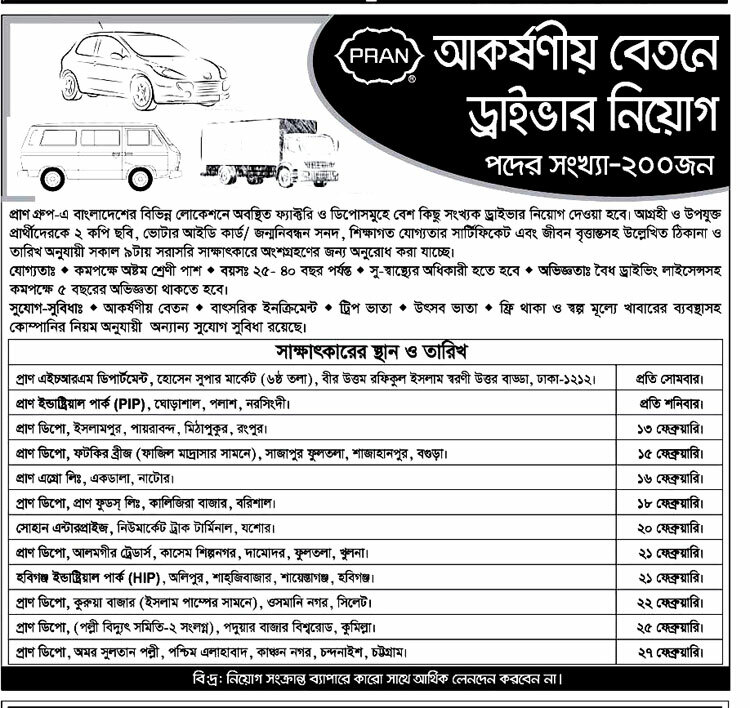 Pran RFL Group HRD (Human Resource Division) will recruit plenty of Man and Woman in every year for the various position of Sales & Marketing Executive, Driver, Sales Representative (SR), super Shop, Officer. 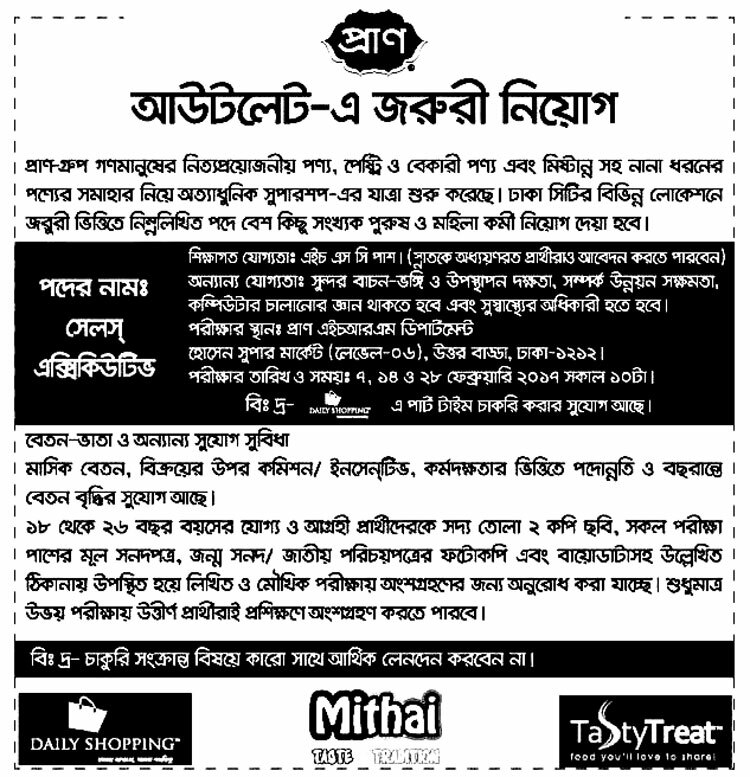 Age Limit: See below the image Job circular details. Pran RFL Group reserves the right to accept or reject any application or appointment of the candidates without assigning any reason whatsoever.